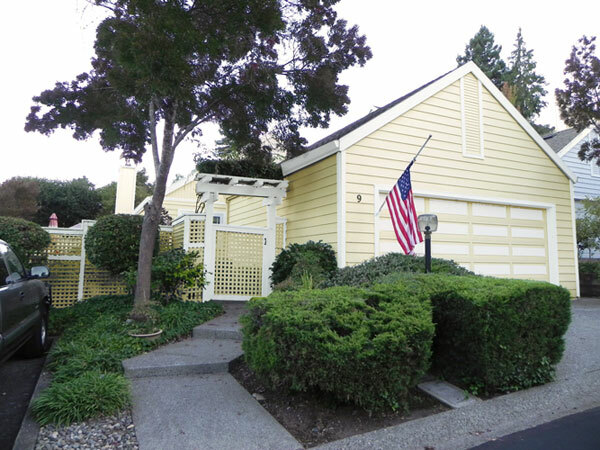 A friend of mine owns a home in Napa, CA and was thinking of repainting with either yellow or green. She really just wanted my opinion but I know how difficult it can be to make a decision on color without seeing how it will look and sometimes doing a patch sample just isn’t enough. Since she is also an artist, I knew I could leave the actual color up to her to select and just give her a generic yellow shade to give a general idea. The area in which she lives is governed by a Home Owner’s Association and they have to approve all colors. I chose a green that was neither too dark nor too light. I also showed the garage in front two different ways, one with a solid door and one with the panels painted ion the trim color. My friend chose green and kept her salmon color front door which you can’t see from this view. 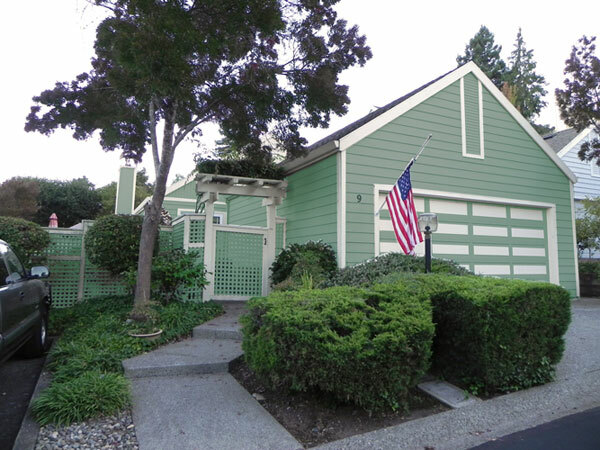 She also decided not to do the garage in two colors, but just the solid green.